Ever since we signed up for the very first Fabric CD release back in 2001, we have looked forward to our monthly delivery of new music. Some of it has been excellent, and some of it I have to admit, doesn’t really do it for us, but having last week received CD number 110 (a stunning D&B mix from DJ Marky) I thought I would use the opportunity to take stock of what can only be described as a monumental “physical” achievement in this digital music buying age. The releases are divided into two strands: Fabric (representing a Saturday night at the club) and Fabriclive (representing Friday nights). Craig Richards (Fabric) and James Lavelle (Live) started the whole thing off and the two strands have alternated releases each month ever since. The diversity of styles, sounds and artists that have contributed to these 110 releases over the last 10 years or so is truly impressive. I won’t go into all the details, but a full catalogue is here if you’re interested. I would like to say that we have every single release but we are actually one short: Fabriclive 53 Drop the Lime, which was never delivered to us. It’s release got caught up in the whole Matter collapse/ Fabric nearly closing nightmare last year, and this post has reminded me that I need to go and buy it separately. 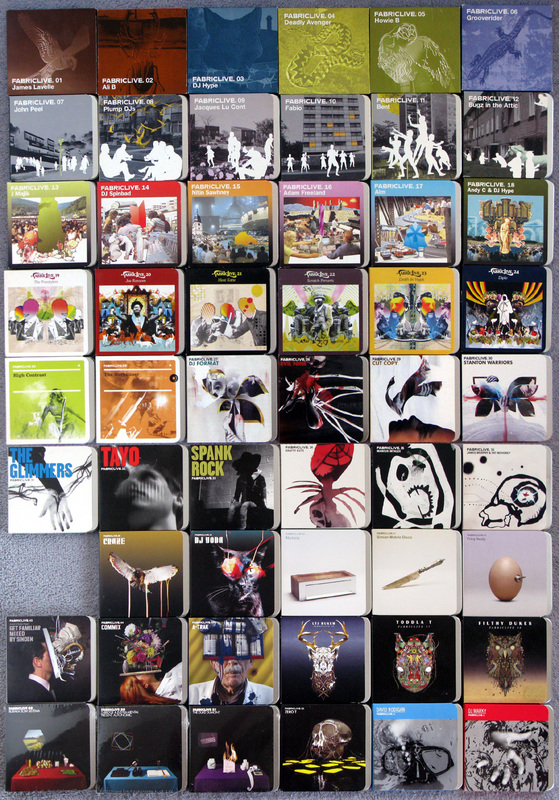 Worryingly I couldn’t find Fabriclive 37 (Caspar & Rusko) for the photoshoot… no idea where that’s got to. No idea how long they can keep the monthly issues up, but we’ve come this far and rest assured, we will be subscribers until the end. 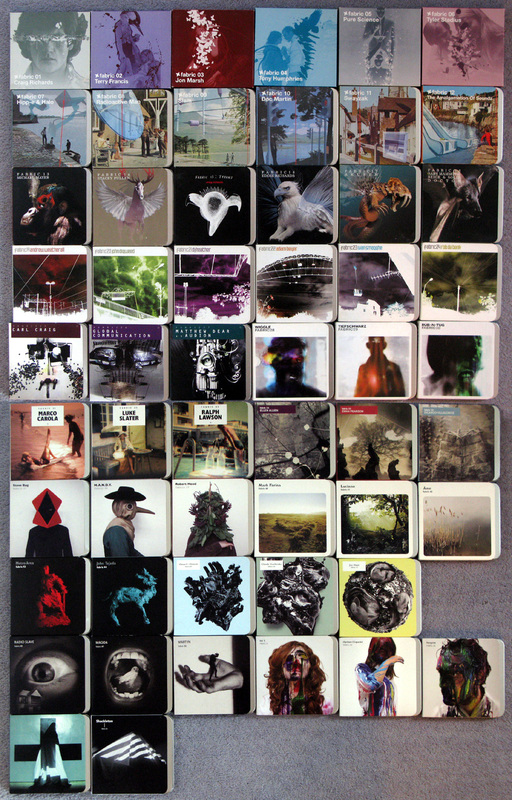 So a huge thanks to the Fabric Label for widening our musical horizons and enriching our CD collection over the last 10 years, long may they continue.